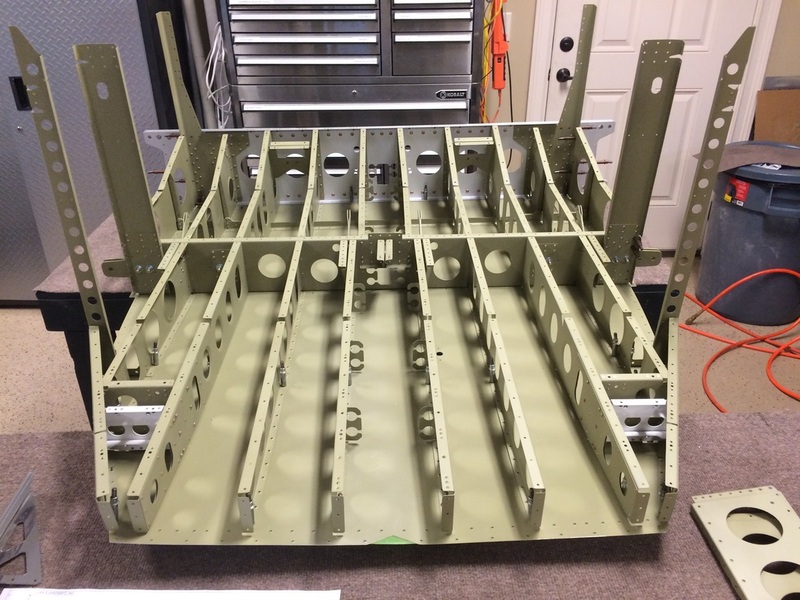 The start of ribs for the seat and baggage area with much more to come. 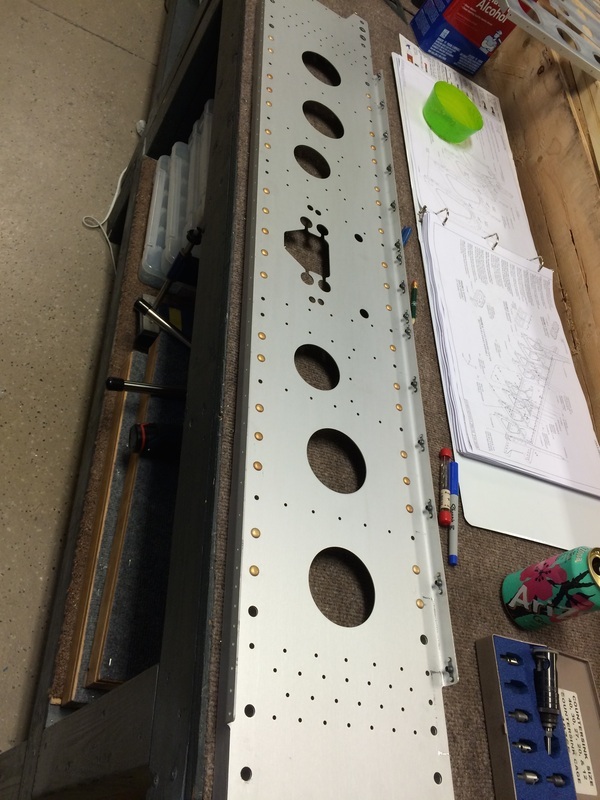 Rafael countersunk for the planets and riveted them in place. 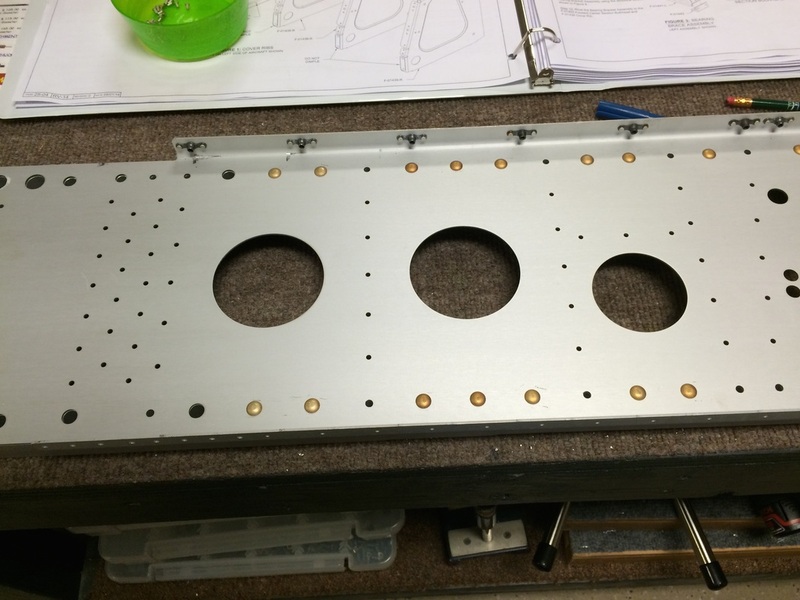 The bottom flange also need countersinking for the bottom dimples skin. 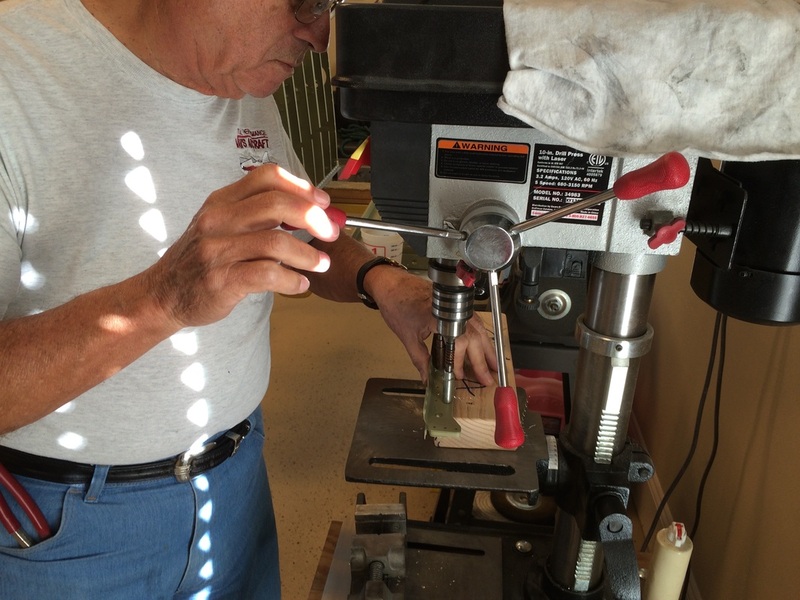 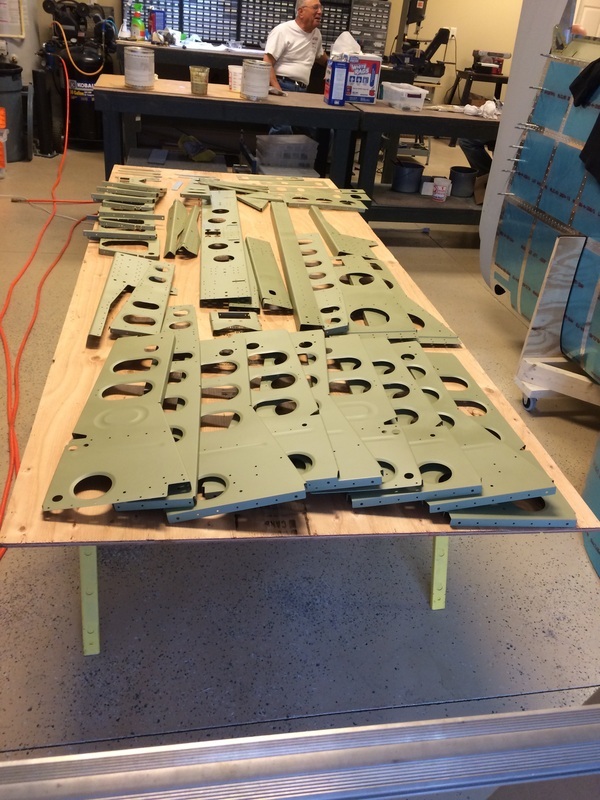 Mid spar section after countersinking. 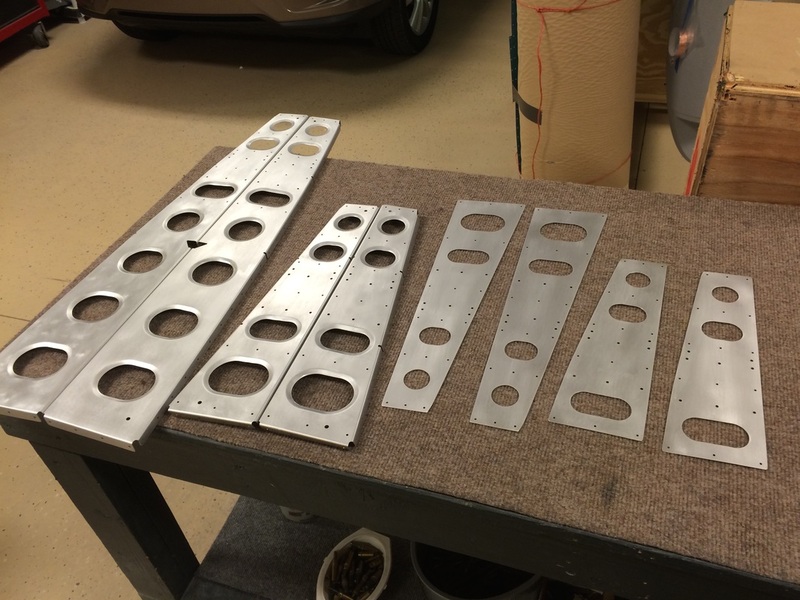 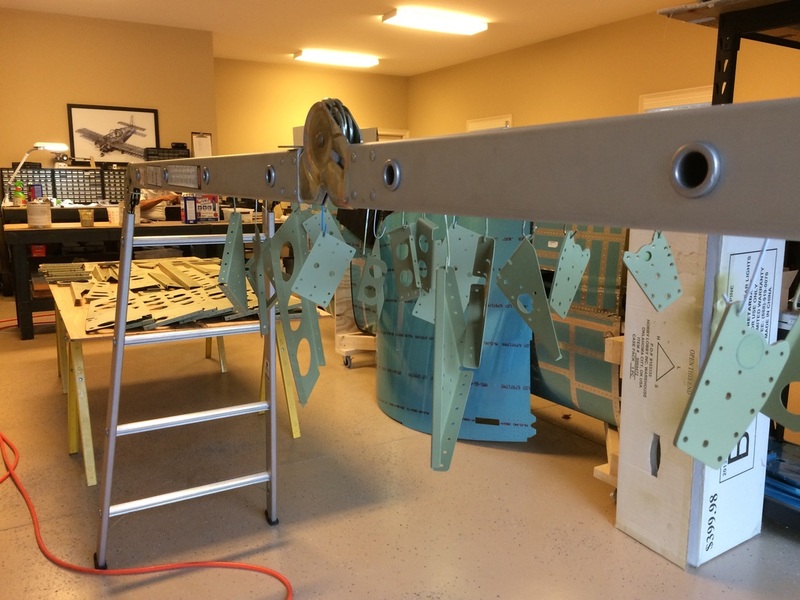 More parts after priming and hanging out to dry. 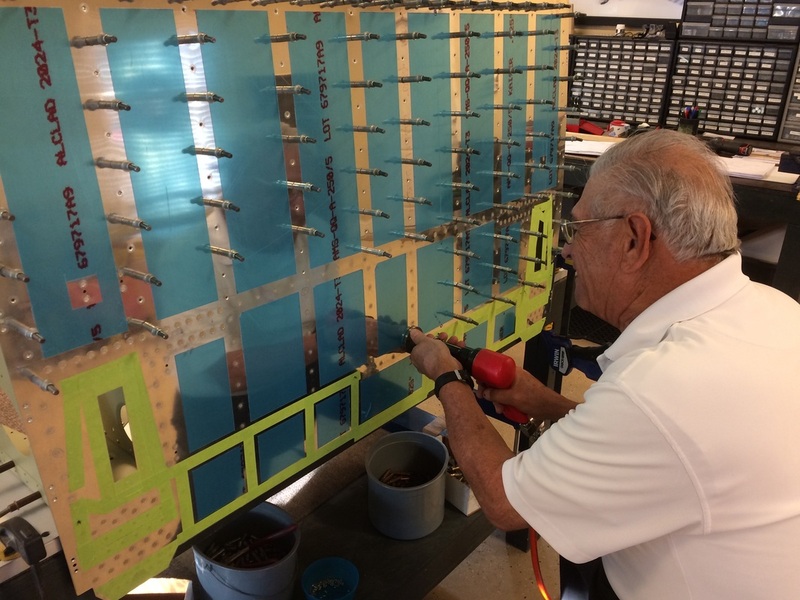 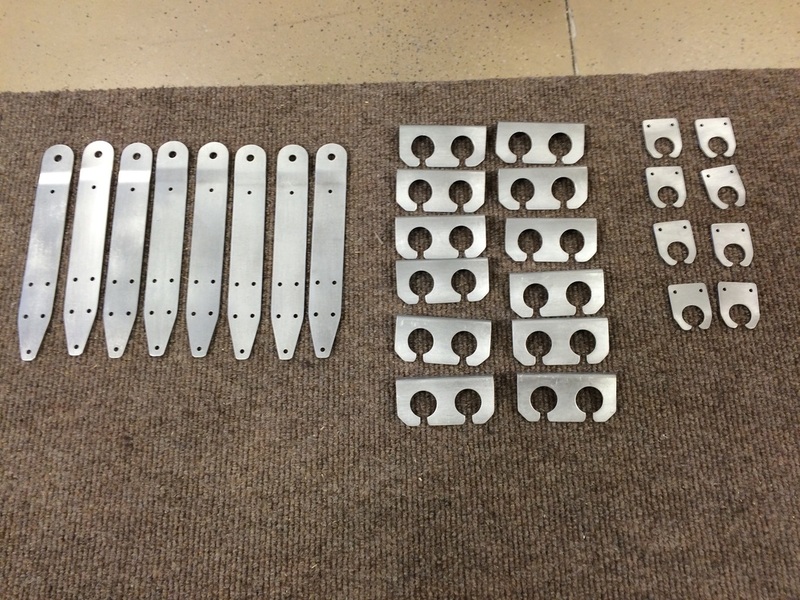 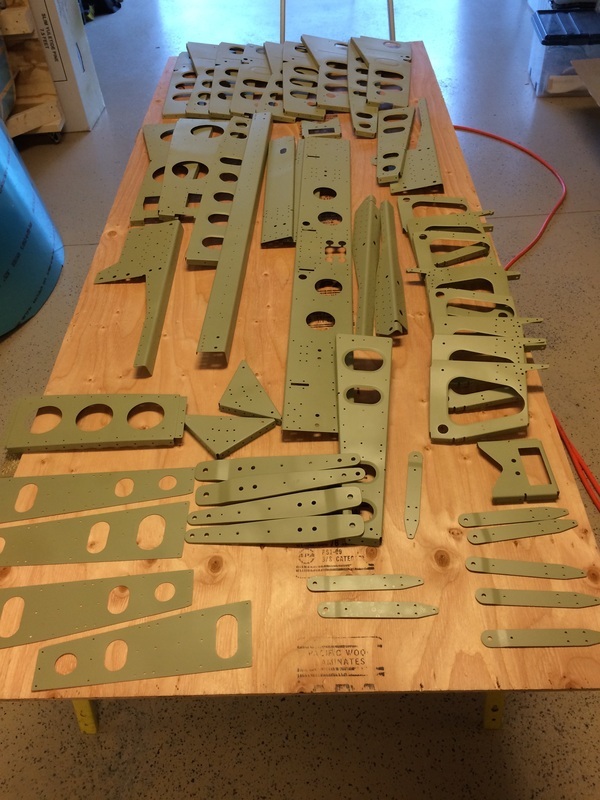 Holy cow, there are a lot of parts in the fuselage kit. 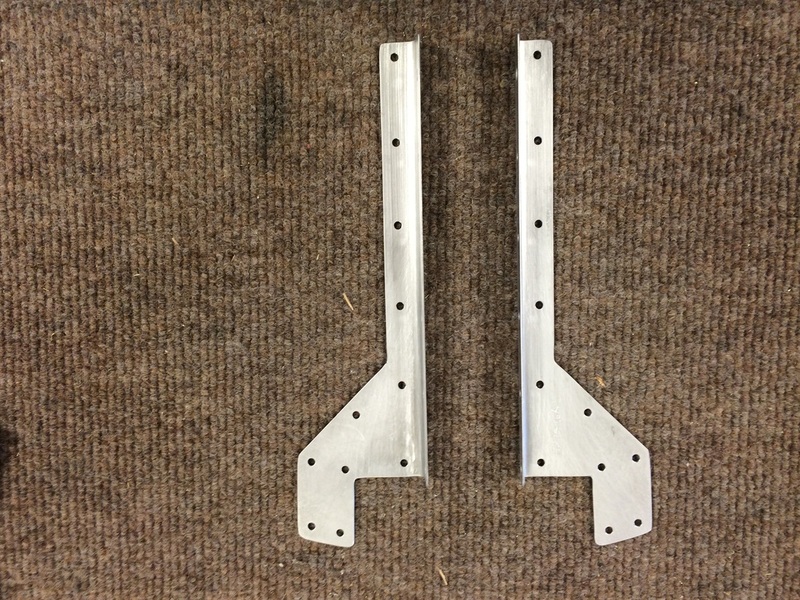 More parts, but these have the snap bushing clips riveted on them. 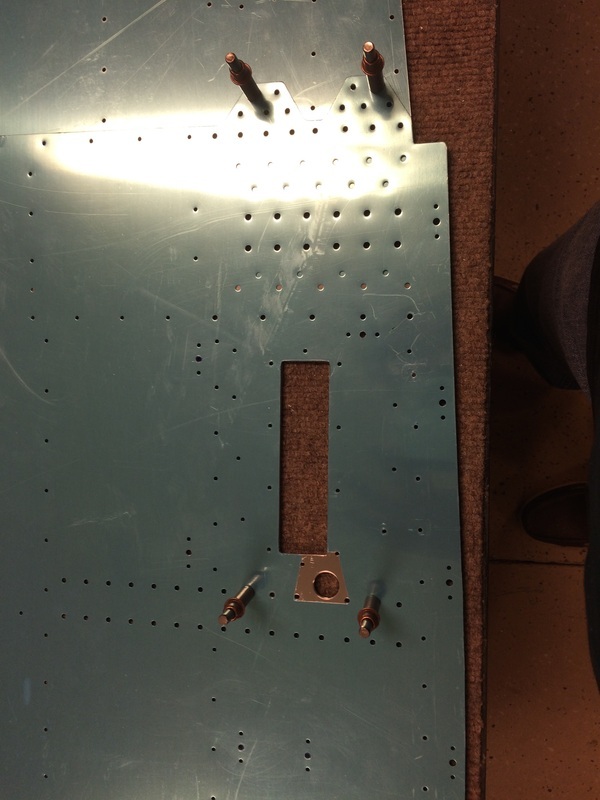 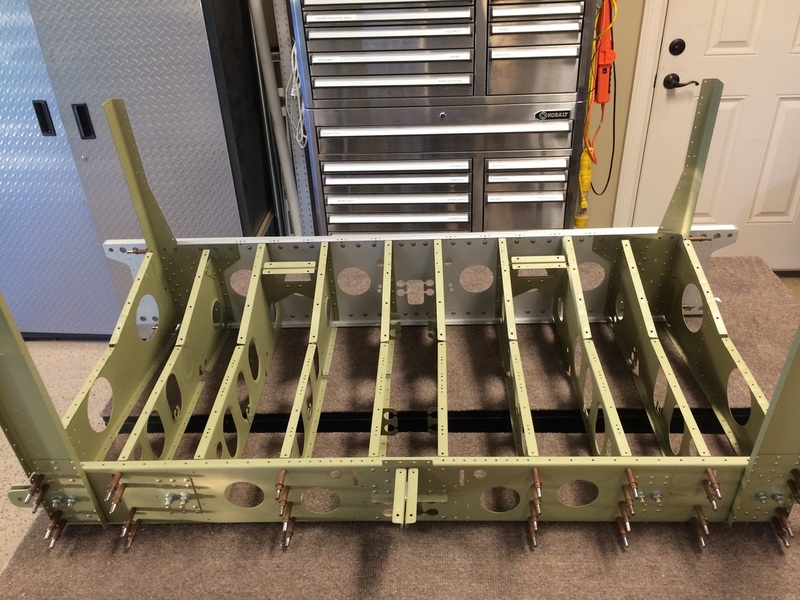 Here is the rear spar carry through bulkhead with the seat ribs bolted and riveted in place. 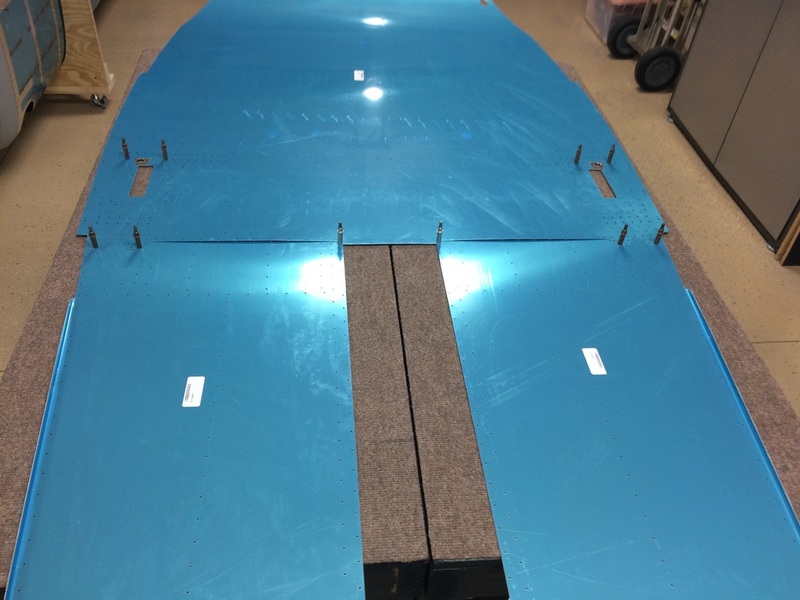 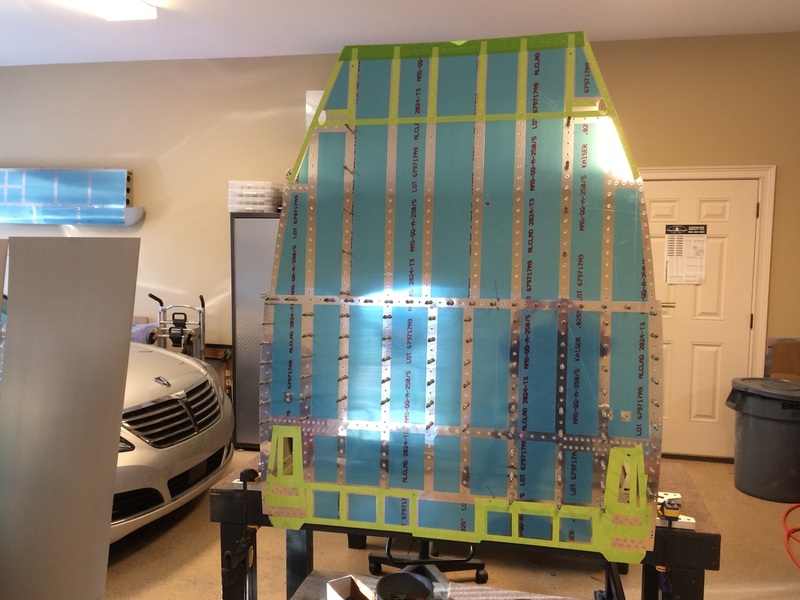 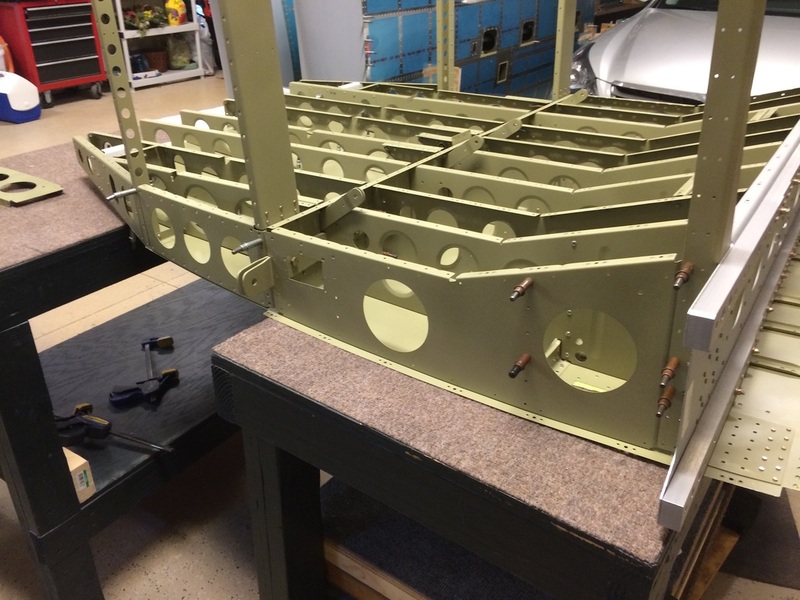 The fuselage frames are coming together, soon the floor gets riveted in place. 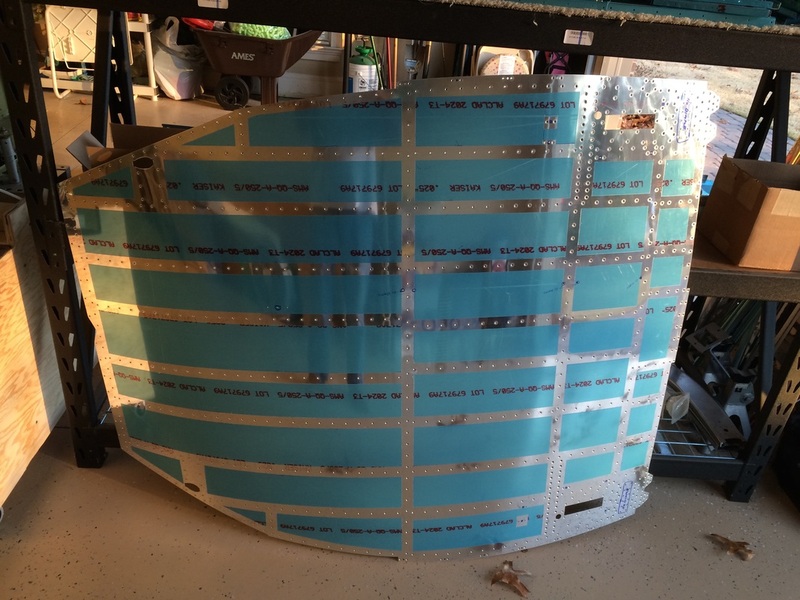 This is pretty good since we just got the fuselage kit 2 weeks ago. 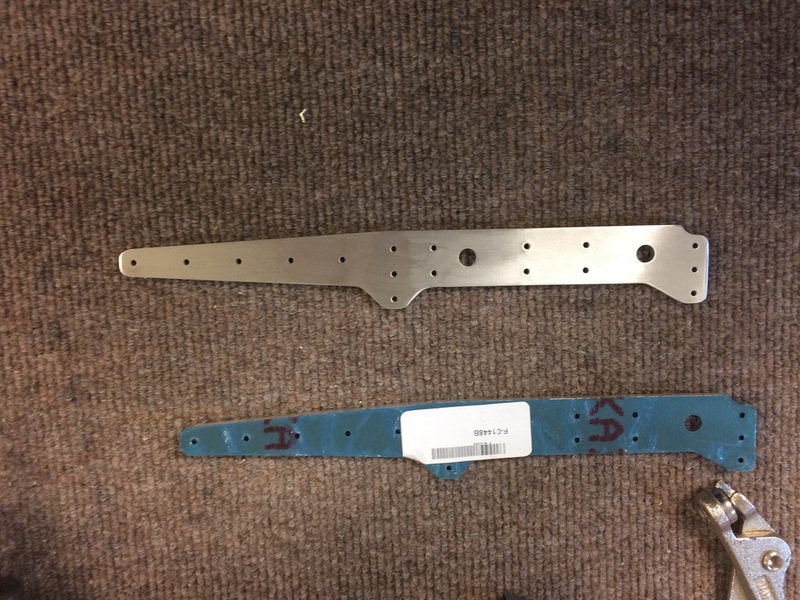 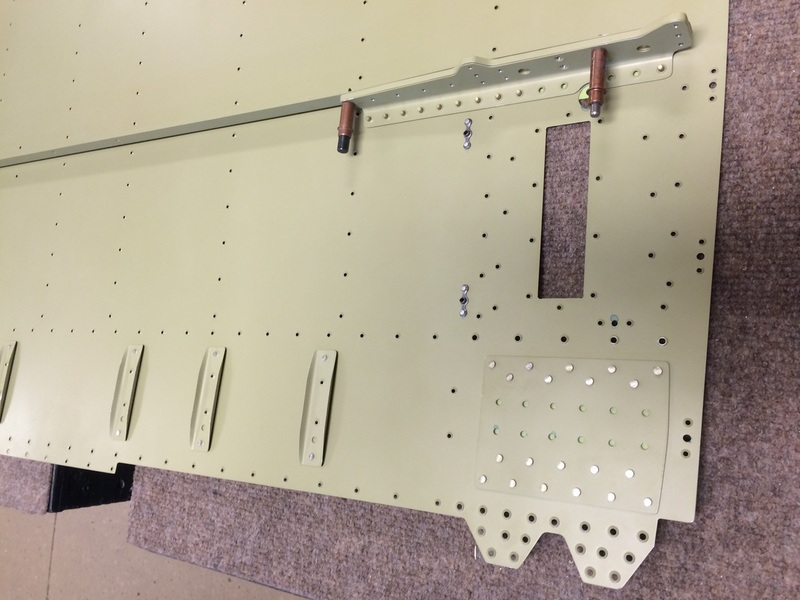 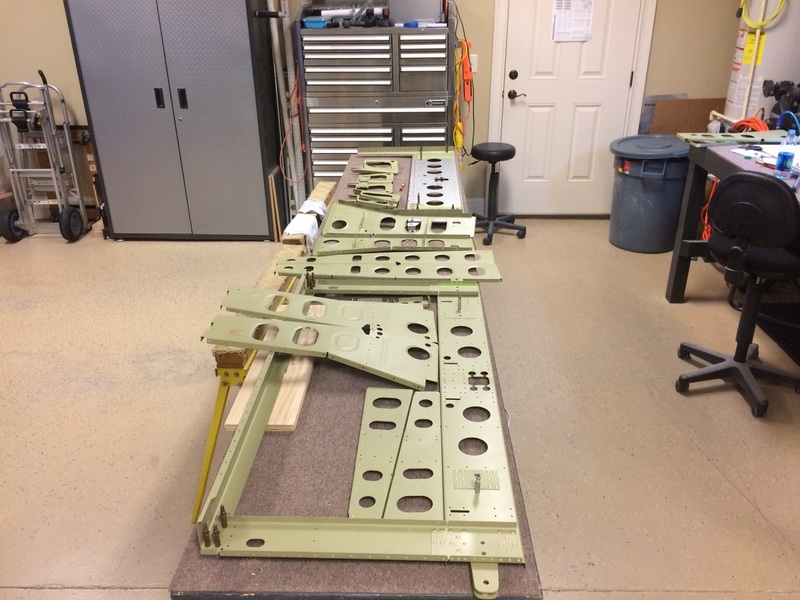 Side view of the seat frames attached to the rear spar carry through. 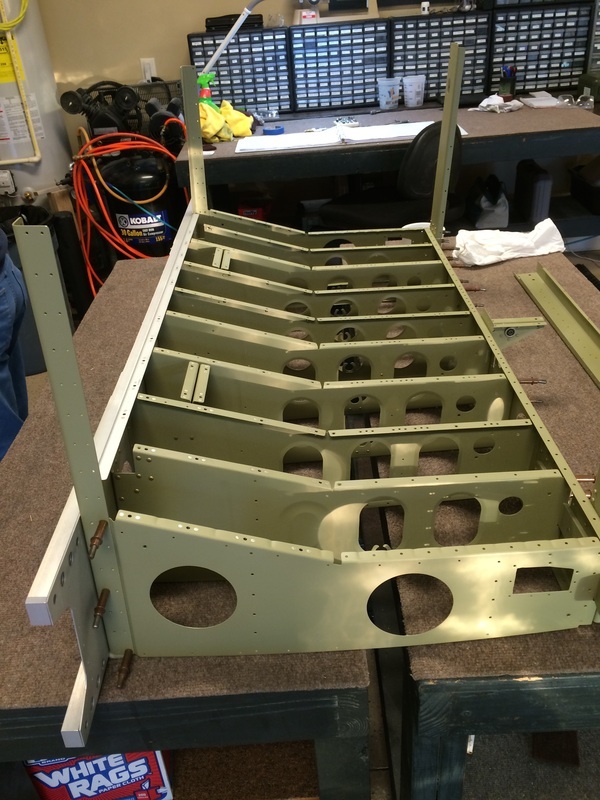 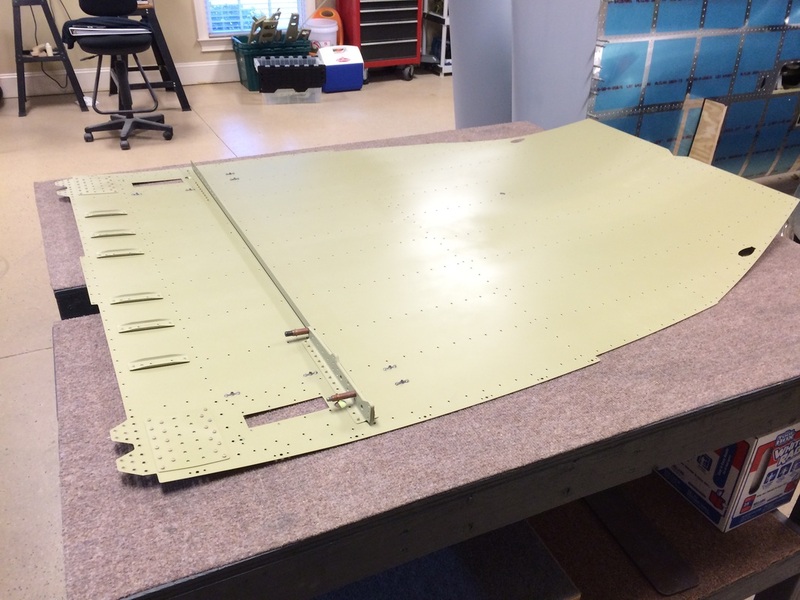 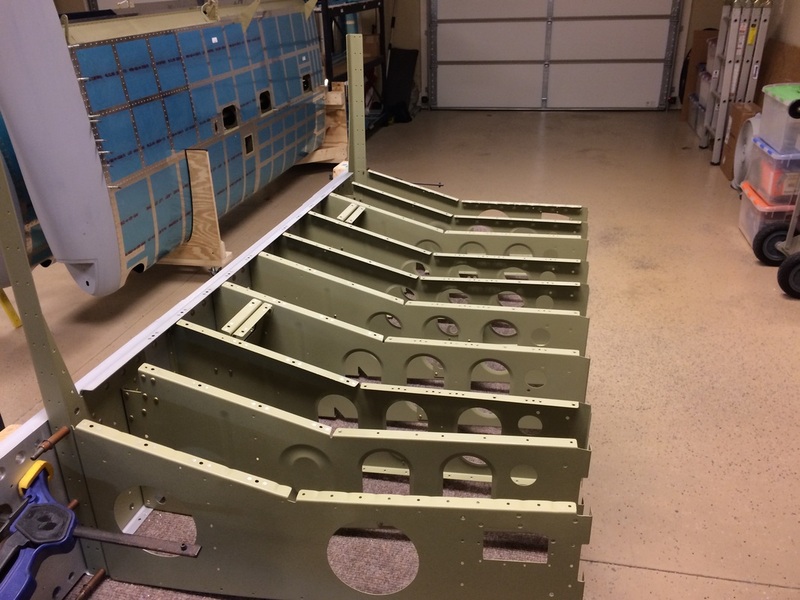 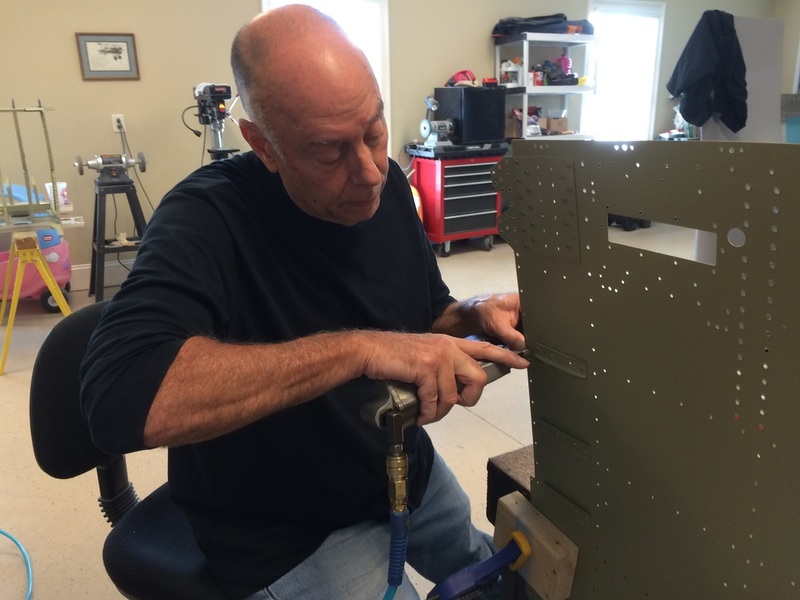 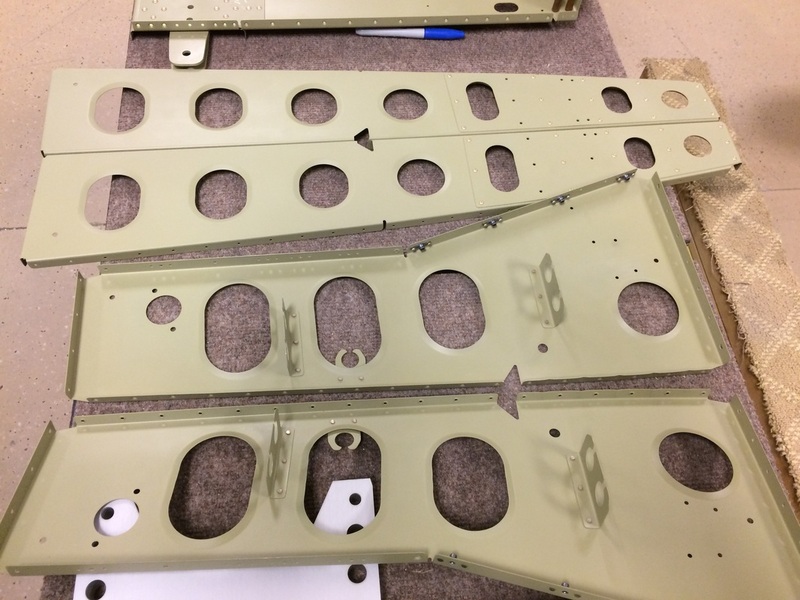 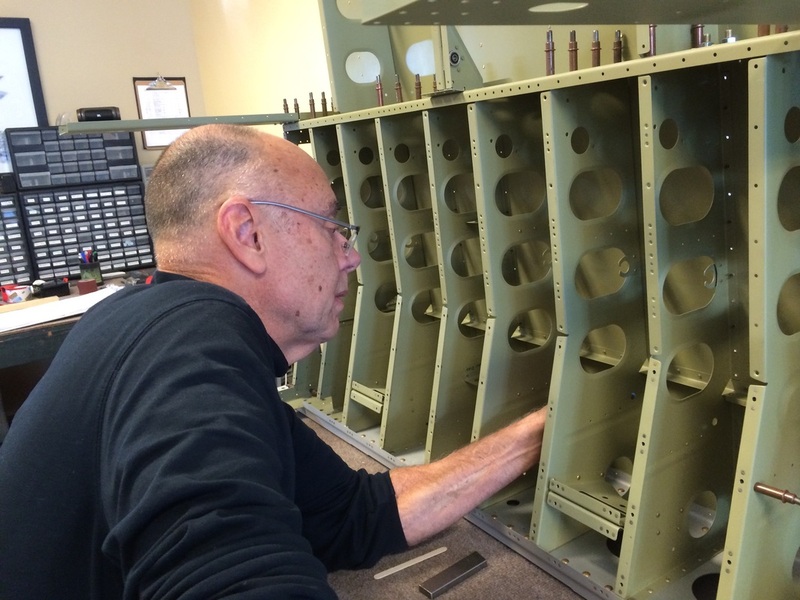 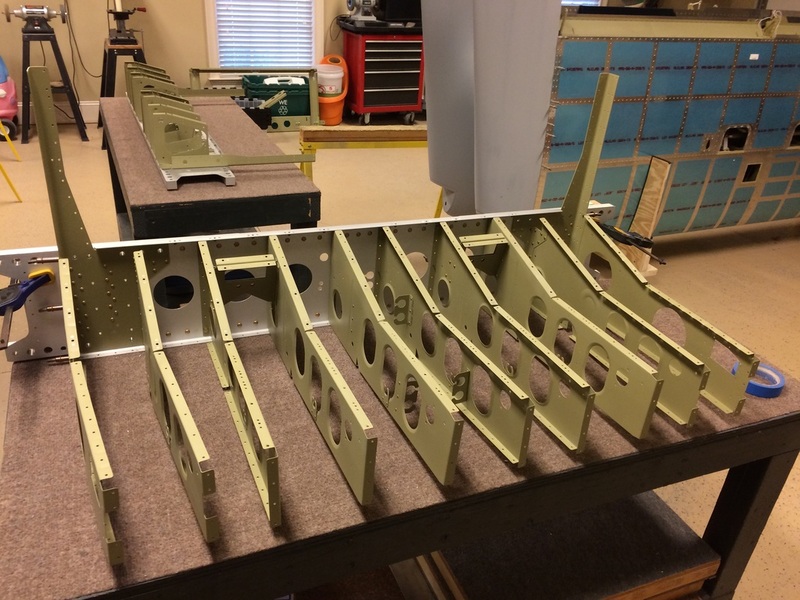 We are starting to get the fuselage frame together, note the idler has been riveted to the rear spar bulkhead.